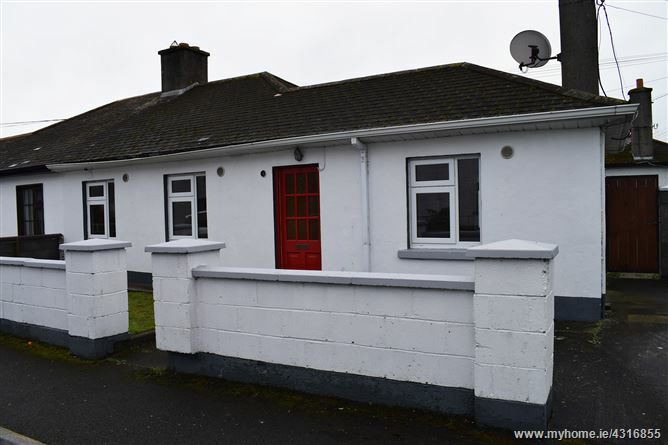 DNG McCormack are delighted to present this fine, 2-bedroom bungalow to the market. The property was built in 1939 has been maintained in modern condition and benefits from being situated on a good sized corner site. Accommodation comprises of hallway with laminate flooring, living room with laminate flooring and open fireplace, modern fitted kitchen, utility room, 2 bedrooms with original cast iron fireplaces, and a shower room. Gardens to side and rear are privately bounded by mature hedging. Close to all local amenities and just 8 minutes' walk from Carlow town centre. Viewing is highly-recommended. Laminate flooring, open fireplace, built-in storage, 2 windows. Tiled floor, modern fitted units, tiled splashback. Tiled floor, built-in units, countertop, wired and plumbed, internal gas boiler, back door. Laminate flooring, open fireplace, rear aspect. Laminate flooring, open fireplace, front aspect. Tiled floor, WC, WHB, shower unit.